Lucky June babies can select from two gems: pearls and alexandrite. 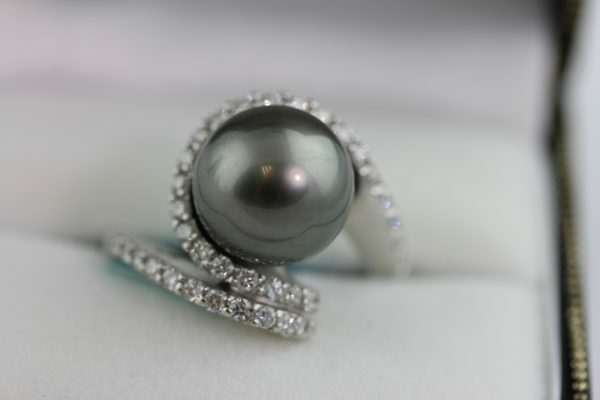 Pearls are also the traditional gem for the third and thirtieth anniversaries while alexandrite is the traditional stone for the fifty-fifth anniversary. From composition to history, these two gems differ from each other in a number of ways. One is an organic gem used from ancient times; the other is a much more recently discovered stone with a unique color changing ability. Read on to explore more about these two beautiful gems. Pearls belong to a handful of “organic” gems that are not derived from mineral sources – pearls, amber, jet, corral, and ammolite are some examples. 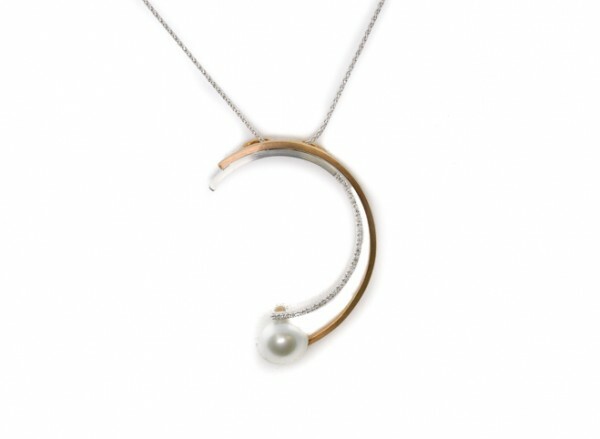 Here at Barbara Oliver Jewelry, we love all of the pearl colors including cream, gold, pink, silver, and black. Today most pearls are cultured, because natural ones are rare, expensive and generally smaller. Cultured pearls are cultivated by placing a shell bead along with a small piece of mantle tissue into a mollusk. As the mantle tissue grows, a sac forms around the bead and secretes nacre (the technical name for mother-of-pearl) onto the bead that eventually forms the cultured pearl. Look for pearls that are blemish-free, have a good layer of nacre for durability and a shiny luster with a reflective surface. The four main types are: Akoya, South Sea, Tahitian and Freshwater. 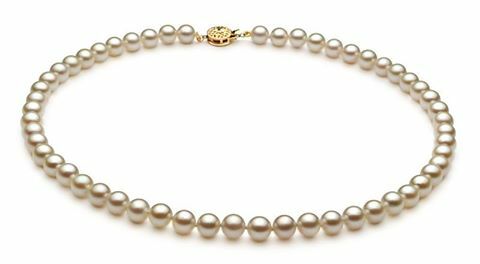 Among these, Japanese cultured Akoya pearls have long been the standard bearer for luster and shape. When comparing pearls of the same type, larger ones are more valuable than smaller ones, provided all other quality factors are equal (i.e., luster, shape, etc.). As an organic gem, pearls are not fond of cosmetics or chemicals, so take care when cleaning or using toiletries. Put on your necklace, earrings or ring after applying makeup, perfume or hairspray. And always remove your pearls when cleaning or better yet, find someone else to do it! When you wear pearls you join a long and ancient line of pearl aficionados. A Chinese historian was the first write about pearls in 2206 BC. While we can’t claim to have the Hope Pearl (a whopping 450 carats!) like the Smithsonian, we do think our pearl selections are extremely attractive and much more wearable. Please stop by our shop when you are in the Buffalo NY area. Alexandrite belongs to the chrysoberyl family and is one of its most valued members. Its ability to change color makes it distinctive among gems. It appears red or purple-red in artificial light and green in natural light. As a result, it is sometimes called an “emerald by day” and a “ruby by night”. own at left is a custom crafted ring designed for a violinist who loves tulips and wanted something special for her June birthday. 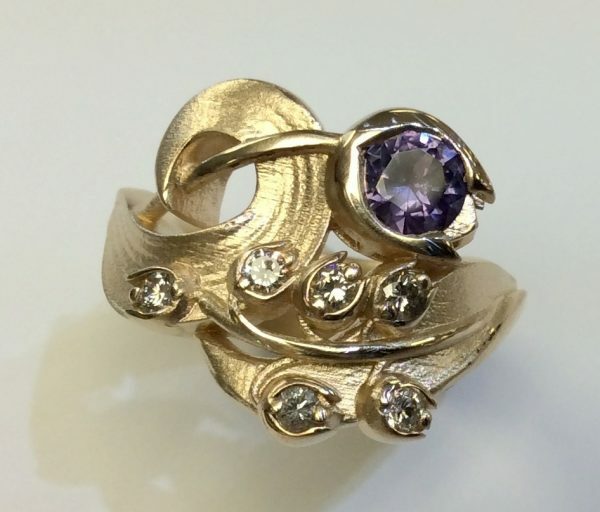 It features a natural .77 carat alexandrite and family diamonds set inside tulip shaped bezels, with the leaves forming a g-clef. Discovered in 1830, in the Ural Mountains, alexandrite was named after Czar Alexander II. The original deposits in the Urals are depleted and the stone is now mined in Sri Lanka, Zimbabwe, and Brazil. Additionally, the stone is mined in Burma, Madagascar and Tanzania. Generally alexandrite is a stone with high clarity and a transparent glassy shine. Larger size alexandrites are rarer. High quality stones in sizes over one carat can command higher prices than sapphires, rubies or emeralds. The most sought after alexandrites have pure color tones and strong color change ability. Colors can vary somewhat depending on where the stone is mined. Please stop by our shop in you’re in the Williamsville – Buffalo, NY area. We’d love to meet you, show you our jewelry selection or help you custom design a one-of-a-kind piece.